Add expiration dates or 'best before'-dates to your perishable products. Includes stock management for products with expiry date. Purchase includes one year of updates and support. Add expiration date or 'best before'-date to your perishable products. Possible to have multiple expiry dates per product. Oldest products will be sold first. 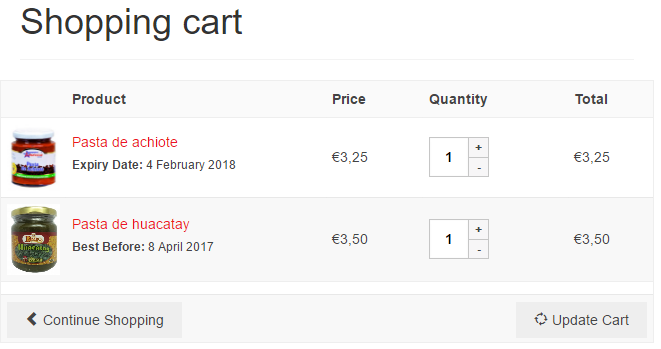 Present expiry date to the customer on the product detail page, cart page and/or on the delivery note (fully customizable). Get an overview of products in stock that are about to expire. 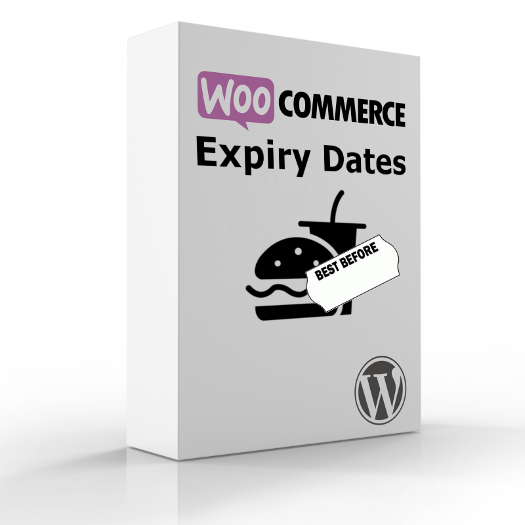 It's extremely easy to set expiry dates for products. In the Inventory section of the Edit Product page of your store input fields will be added where you can select the type of expiry date (Best Before, Expiration Date, ...) and the date. 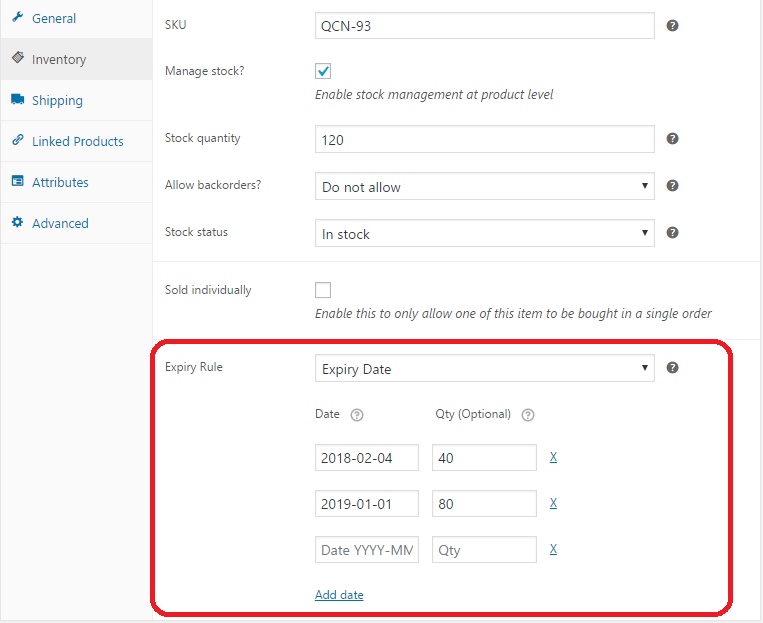 If stock is managed for the product you can even enter multiple expiry dates and the amount of products in stock for every date. This is very useful if you have products from different batches in store. Products with the oldest expiry date will be sold first. Once a product is overdue, the customer can't place the item in his shopping cart. This behaviour can be customized for every type of expiry date. 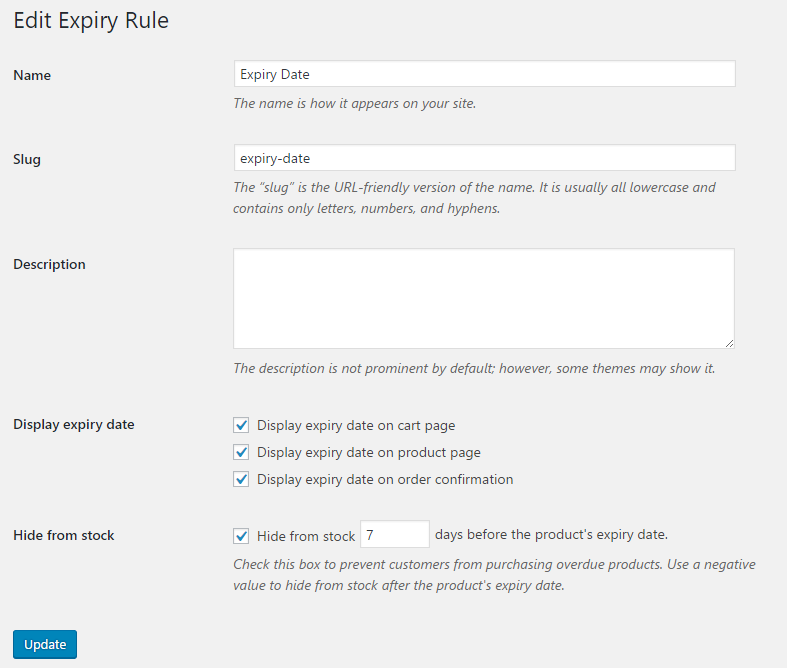 You can customize the behaviour of the different expiry rules. For example if a product has an "Expiration date", the product can be purchased until 14 days before it expires while a product with a "Best Before date" can be purchased until 7 days after it expires.